Power up to 4 devices with ease! 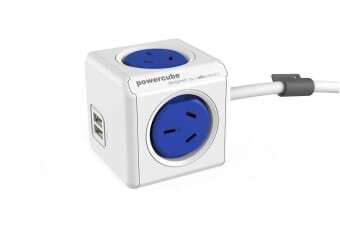 Power up to 4 devices and 2 USB devices at the same time with this intuitively designed PowerCube! Featuring 4 power outlets with 2 additional USB ports in one compact design, the PowerCube not only saves space in your home or office but looks great! Connect your devices to powerpoints with its 3m extension cable and easily mount the cube to walls, horizontally, vertically or even upside down.